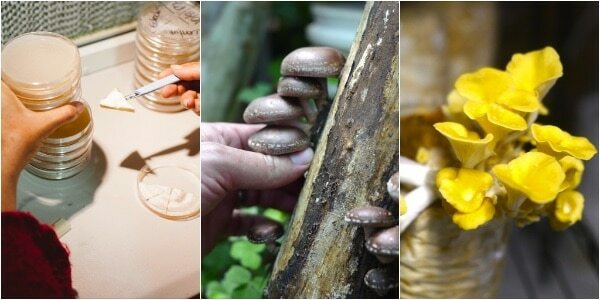 Join us for two jam-packed days of hands-on skills in edible mushroom propagation. 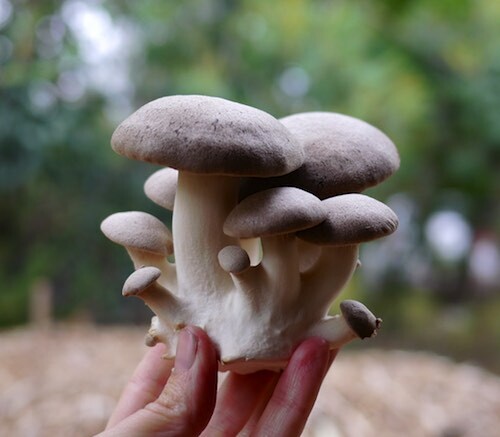 Learn how to grow delicious oyster, shiitake, pioppino, enoki, reishi (lingzhi), lions mane, king stropharia and many other mushrooms at home, organically! Our approach is designed to give you the knowledge and tools to grow a sustainable, diverse mushroom supply at home – all year round. We encourage techniques that minimise waste and energy use and focus on teaching resilient processes that take advantage of the seasons and micro-climates around your property rather than the conventional approach of single use bags and expensive climate controlled environments. You’ll also learn advanced liquid culture techniques so you can avoid the expense of creating a sterile environment to make your of grain spawn. 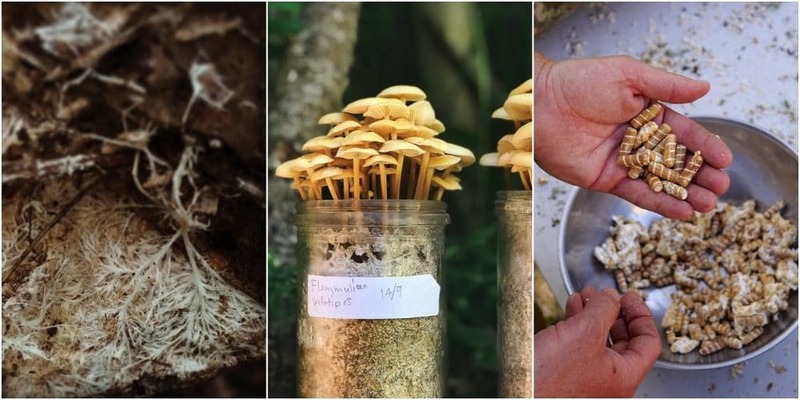 By the end of this course you will have the skills to take any suitable store-bought or foraged mushroom, clone and propagate it in a variety of ways, and create a lifetime supply of mushrooms with minimal start up costs. Growing your own organic mushrooms is a great way to introduce important trace minerals to your family’s diet, as well as being a fun and extremely interesting thing to do. 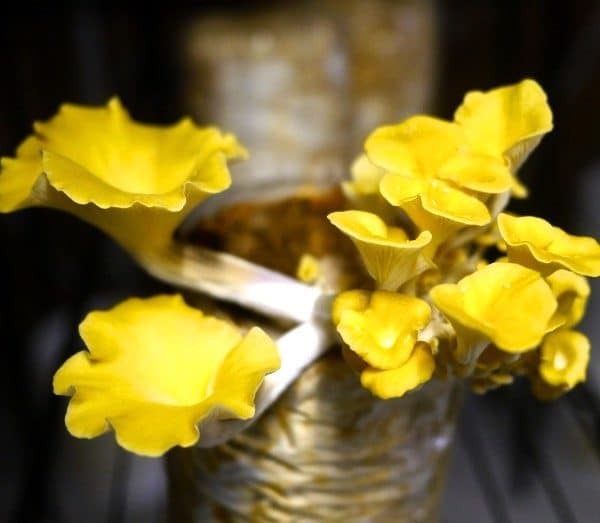 Growing organic mushrooms can lead to a successful micro-enterprise that fits well with many small farms, homesteads and urban growers. Once you know how to do it, there is very little ongoing cost. 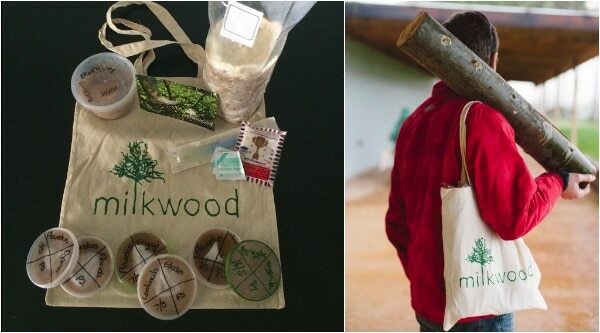 So if you’re curious about how to start growing mushrooms in bags, logs or in the ground and how to propagate your own strains for a lifetime supply, join us! 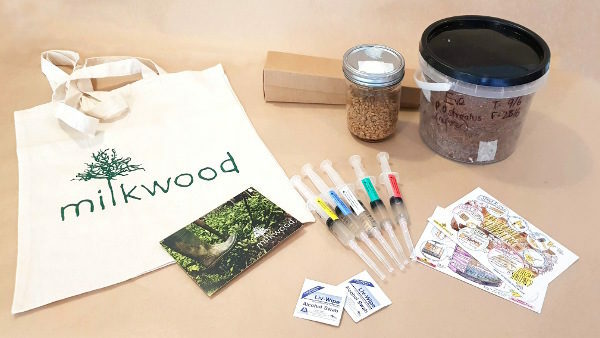 Each student receives extensive mushroom propagation resources for this Gourmet Mushroom Cultivation course, as well as extensive digital resources & how-to’s to help you get growing. 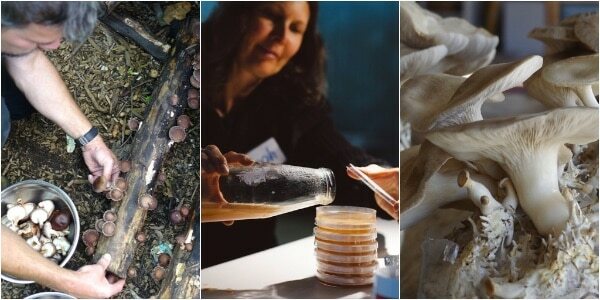 Five varieties of fungi as liquid culture syringes. A modified mason jar with an airport lid (self healing injection port and biological air filter) filled with grain spawn you have inoculated in class. A modified polypropylene bucket full of fruiting substrate that you have inoculated in class. Your course fee also includes refreshments, hot drinks and caffeine during the course. 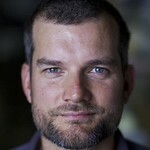 Nick Ritar is a passionate small-scale mushroom cultivator who heads the mushroom propagation project at Milkwood. 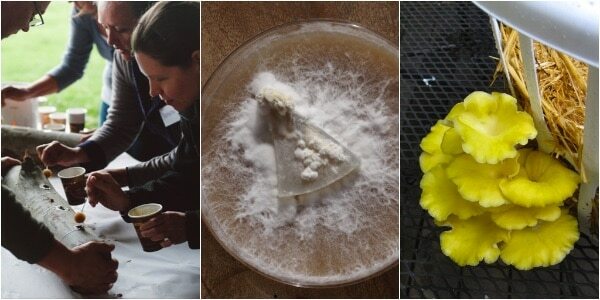 Nick has trained with world-leading mycologist Paul Stamets from Fungi Perfecti and has been teaching mushroom propagation since 2011. 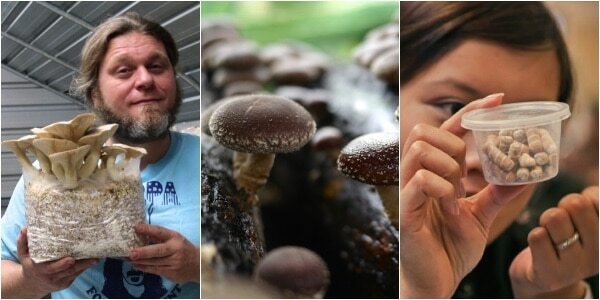 His passion for knowledge and hands-on skills is infectious, and his aim with this workshop is that you will leave confident and ready to take on a wide range of mushroom propagation techniques at home. Only 8 tickets remaining. Ticket $550.00 We offer 10% off for earlybirds who book up to 6 weeks early, and a group discount of 15% for bookings of 2 or more, up until the day of the course.